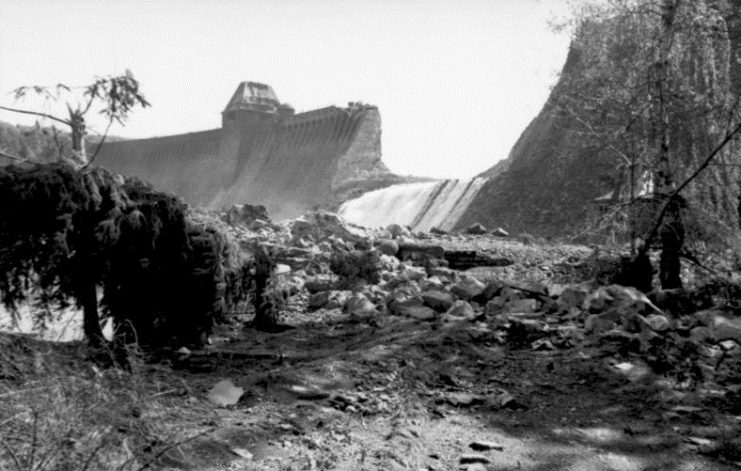 Eder Dam on 17 May 1943. Photo: Bundesarchiv, Bild 183-C0212-0043-012 / CC-BY-SA 3.0. One of the last unsung heroines of the famous Dambusters raid in WWII has died aged 97. Maureen Stevens passed away on the day before she and her husband were to celebrate their 74th wedding anniversary. An RAF flag was lowered in her honor at her funeral held on December 21. Maureen was born and raised in Norwich, UK. She was working as a proofreader for Jarrold’s print works before she volunteered for the war effort. Expecting to do clerical work, she was surprised at her interview to discover they had other plans for her. Maureen was trained as a radio telephone operator. As part of her duties, she welcomed pilots back to base and guided them home after their raids in occupied Europe. 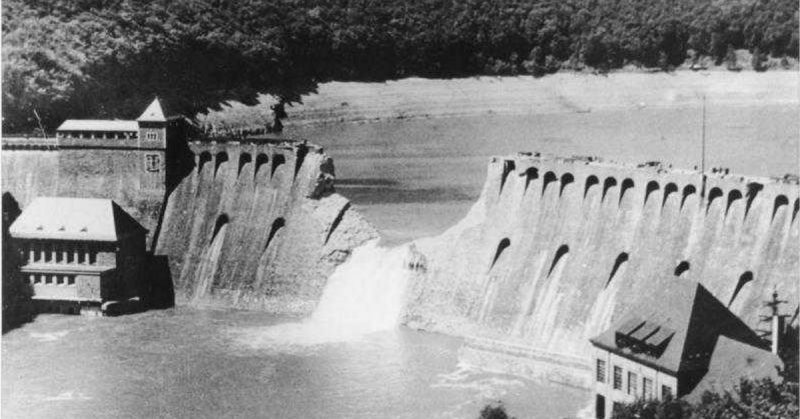 On May 17, 1943, during WWII, Lancaster bombers flew into Germany to bomb the Möhne, Eder, and Sorpe dams. On their return from the famous Dambusters Raid, Corporal Maureen Miller guided the pilots back to the RAF’s Scampton, Lincolnshire base. Her calming voice over the radio reassured the returning crews. In 1943, Maureen helped a young bomber pilot back to the base. That pilot, Steve Stevens, had never heard a woman in the control tower before so, after landing, he went to have a look. He was immediately smitten but too shy to approach her at the time. Eventually, he asked her out and proposed to her weeks later, saying he would marry her if he survived to the end of the year. On December 4, 1943, they were married in Thorpe Hamlet, near Norwich. They had a son, Adrian. 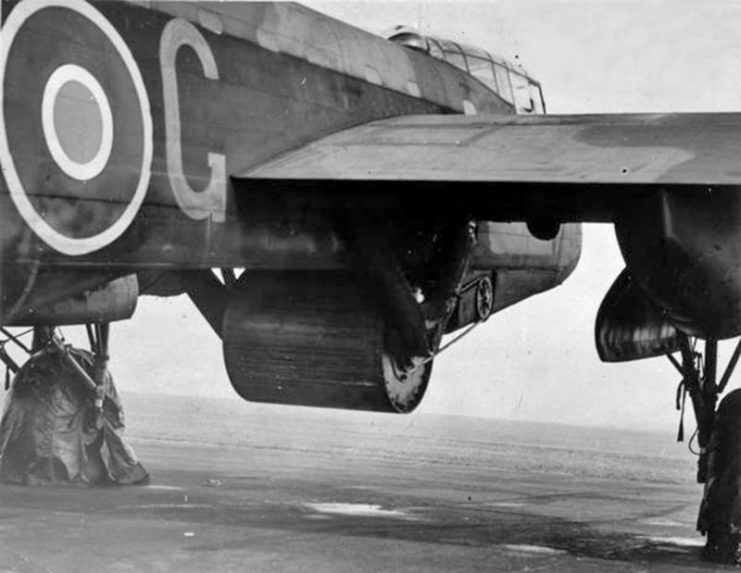 “Upkeep” bouncing bomb mounted under Gibson’s Lancaster B III (Special). She did not know that the Dambusters raid was anything out of the ordinary as the Lancaster bombers of 617 Squadron took off. Known as “Operation Chastise,” before becoming more commonly known as the Dambusters Raid, the operation was so secret that even other pilots, such as Maureen’s future husband, did not know about it. He did notice that the planes in 617 Squadron had their bomb bay doors altered to fit the new bouncing bombs used on the mission. 19 Lancasters left the base that day, with instructions to destroy the three German dams which provided electricity to a vital industrial area in Germany. Wing Commander Guy Gibson assembled the team. They had only eleven weeks to prepare for the mission, using the new bouncing bombs invented by Barnes Wallis. After practicing for weeks over Peak District reservoirs, the crews were not informed of their actual targets until six hours before the raid began. 113 crewmen left in those 19 planes traveling in three waves on two different routes to the Ruhr valley. Möhne Dam after the attack. Photo: Bundesarchiv, Bild 101I-637-4192-20 / Schalber / CC-BY-SA 3.0. At 12:28 AM, Gibson attacked first, at Möhne. It took five bomb drops to breach the dam. The last three planes in the first wave then struck the Eder dam. It was destroyed at 1:52 AM. The other two waves attacked the Sorpe dam but failed to breach it. The mission was considered a success, although eight aircraft and 53 crewmen were lost. Maureen was on duty in the control tower, listening to the crews and relaying instructions during the mission and the surviving crews’ return flights. Her job was to instruct the pilots to land or to have them circle in a stack. She then brought them in one by one in turn, unless a damaged plane arrived that needed to land quickly. During Mayday calls, she had to talk lost or disoriented crewmen back to the base and then safely to the ground. The experience left her with no desire ever to fly herself. Still, she loved her job. She had never expected to leave Norwich but, due to the war, she expertly assisted pilots to land their aircraft.